One of the foremost writers in what has been dubbed “grit lit,” Larry Brown has been lauded for his graphic, raw fiction about the rural Southstories featuring characters who are ordinary and poor, and struggling with such real-life issues as marital strife, alcoholism, suicide, and the traumas of war. 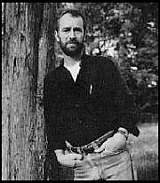 Born July 9, 1951, in Oxford, Mississippi, Brown is sometimes compared to fellow Oxford resident William Faulkner because of their similar origins and education: both briefly attended the University of Mississippi (without graduating), and both learned their craft as writers in large measure by avid reading. Brown worked in a number of jobs over the years, including carpenter, lumberjack, fence builder, carpet cleaner, housepainter, hay hauler, and store employee, but he began his writing career during his career as a firefighter, a job he held from 1973 to 1990, when he retired to write full-time. First publishing stories in a number of magazines and journals, Brown’s first book was a collection of stories, Facing the Music (1988). The following year, he published his first novel, Dirty Work (1989), which was inspired in part by his father’s experiences in World War II. Browns fiction continued to chronicle the downtrodden and disheartened denizens of the American South. The stories in Big Bad Love (1990) depict marital malaise of varying degrees, while the novel Joe (1991) teams up the title character, a hard-drinking ex-convict who heads up a forest defoliation crew, with 15-year-old Gary Jones, the son of a truly evil no-count drunk migrant worker; despite the opinion of the local cops, both are essentially good and just, and despite his own reluctance as a role model, Joe proves to be just what Gary needs. Other works of fiction by Brown include Father and Son (1996) and Fay (2000). 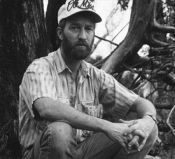 He has also written several nonfiction works, including On Fire (1993), about his work as a firefighter, and Billy Rays Farm (2001), essays about his life and work as a writer. Article first posted May 2001. Algonquin Books of Chapel Hill features this page on Larry Brown, which includes a biography of the writer, reviews and descriptions of his work, and a “Larry Watch” with news about Larry Brown. Facing the Music. (Short stories; includes “Facing the Music,” first published in Mississippi Review, 1987, “Kubuku Rides [This Is It],” “Boy and Dog,” and “Julie: A Memory.”) Chapel Hill, N.C.: Algonquin Books, 1988. Dirty Work. Chapel Hill, N.C.: Algonquin Books, 1989. Big Bad Love. (Short stories). Chapel Hill, N.C.: Algonquin Books, 1990. Joe. Chapel Hill, N.C.: Algonquin Books, 1991. Father and Son. Chapel Hill, N.C.: Algonquin Books, 1996. Fay. Chapel Hill, N.C.: Algonquin Books, 2000. Browns work has also been anthologized in numerous publications, including Best American Short Stories, 1989, edited by Margaret Atwood and Shannon Ravenel (New York: Houghton, 1989), and Kubuku Rides (This Is It). On Fire. Chapel Hill, N.C.: Algonquin Books, 1993. Billy Rays Farm: Essays. Chapel Hill, N.C.: Algonquin Books, 2001. Bonetti, Kay. “An Interview with Larry Brown.” Missouri Review 18.3 (1995): 79-107. Rpt in Conversations with American Novelists: The Best Interviews from The Missouri Review and the American Audio Prose Library. Ed. Kay Bonetti et al. Columbia, MO: University of Missouri Press, 1997. 234-253. Brooks, Cleanth. “An Affair of Honor: Larry Brown’s Joe: An Essay.” Chapel Hill: Algonquin, 1991. Farmer, Joy A. “The Sound and the Fury of Larry Brown’s ‘Waiting for the Ladies.’” Studies in Short Fiction 29.3 (1992): 315-322. Jones, Suzanne W. “Refighting Old Wars: Race Relations and Masculine Conventions in Fiction by Larry Brown and Madison Smartt Bell.” The Southern State of Mind. Ed. Jan Nordby Gretlund. Columbia, SC: University of South Carolina Press, 1999. 107-120. Ketchin, Susan. “An Interview with Larry Brown.” Southern Quarterly 32.2 (1994): 95-109. ---. “Larry Brown: Proceeding Out from Calamity.” The Christ-Haunted Landscape: Faith and Doubt in Southern Fiction. Jackson: University Press of Mississippi, 1994. 100-139. LaRue, Dorie. “Interview with Larry Brown: Breadloaf ’92.” Chattahoochee Review 13.3 (1993): 39-56. Lyons, Paul. “Larry Brown’s Joe and the Uses and Abuses of the ‘Region’ Concept.” Studies in American Fiction 25.1(1997): 101-24. Manley, Michael S. “Larry Brown: Telling Stories.” Delicious Imaginations: Conversations with Contemporary Writers. Ed. Sarah Griffiths and Kevin J. Kehrwald. West Lafayette, IN: NotaBell Books, 1998. 118-128. Prevost, Verbie Lovorn. “Larry Brown’s Dirty Work: A Study of Man’s Responsibility for Suffering.” Tennessee Philological Bulletin: Proceedings from the Annual Meeting of the Tennessee Philological Association 30 (1993): 21-27. Richardson, Thomas J. “Larry Brown.” Contemporary Fiction Writers of the South: A Bio-Bibliographical Sourcebook. Ed. Joseph M. Flora and Robert Bain. Westport, CT: Greenwood, 1993. 54-66. Staunton, John. Character, Community, and the Form of Ethics in Four American Regionalists: Alice Cary, Kate Chopin, Walker Percy, Larry Brown. Diss. Fordham University, 1999. DA9926918. ---. “Shadowing Grace in the Post-Southern South: ‘A Roadside Resurrection’ and Larry Browns Narratives of Witness.” Religion & Literature 33.1 (2001): 43-74. Yow, Dede. “Larry Brown.” The Columbia Companion to the Twentieth-Century American Short Story. Ed. Blanche H. Gelfant. New York: Columbia UP, 2000. 172-175. Larry Brown - Algonquin Books. Information on Browns life and works by his publisher. This page has been accessed 6824 times. About this page counter.